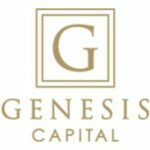 Genesis Capital LLC offers a broad range of customized financing solutions including bridge, construction, and renovation loans. They have been in business since 2007. Their rates range from 7%-12%. They lend up to 90% LTV, and they fund loans in as quick as 5 days. There are no available online reviews for this company. Work For Genesis Capital LLC? Claim This Page.